It’s 7 a.m. While the city is slowly getting up, Cameron Rose Jette is already heading to class, patiently waiting at the bus stop for the Para Transpo vehicle to pick them up. Five minutes pass, the bus is running late. Ten minutes pass, still no bus to be seen but Jette is still patiently waiting. Fifteen minutes pass and they know that they will soon be late to their morning class. The clock is ticking, it’s time for Jette to order an Uber. This personal, yet public issue is one of many that pushed the third-year Human Rights student to run for city council in the October municipal election in Cumberland ward. 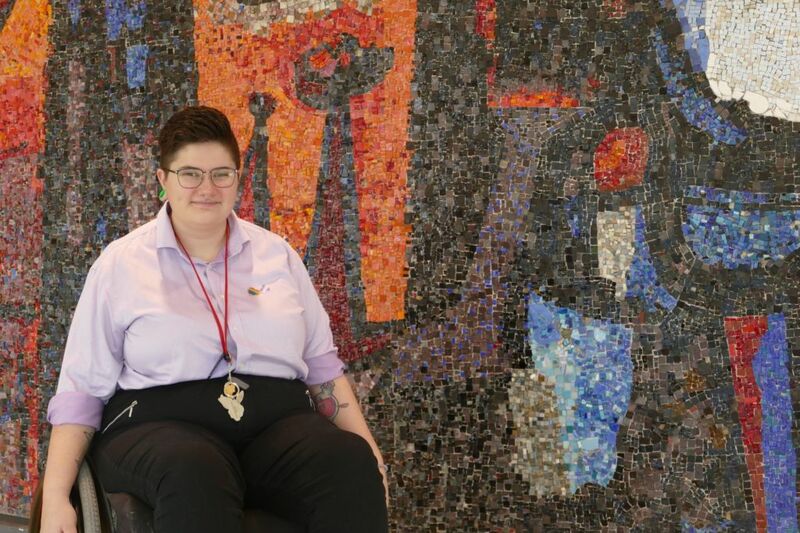 Jette might have been the youngest candidate who ran this year, but their experience and outlook as a non-binary trans student – including their choice to use the pronoun “they” instead of he or she – has its importance. In order for their voice to resonate, the 20-year-old used a totally different platform than the one young adults use to express themselves nowadays. Instead of writing a post on their social platforms, they created their own campaign. Jette’s political platform addressed issues that are particularly affecting our generation such as accessibility, diversity and education. Because young people are directly impacted by every level of government, Jette believes their voices need to be lifted-up. For this to happen there needs to be more youth involvement in politics. Although they didn’t win – they came second with 5.88 per cent of the votes in ward 19 – Cameron Rose Jette’s engagement paves the road for our generation to follow their path. Jette’s dad never ran as a politician but he was friends with all the politicians in the city and helped them with campaign. Looking back at this period of their life, Jette believes this early approach to politics had a positive impact in their life. They feel like it gave them a chance to see the meaning behind an election by getting the chance to get to know politicians on a personal level. In Jette’s opinion, youth political engagement in Ottawa is very low today. From their perspective, a lot of people who are currently in power don’t realize the importance of having youth in power and working alongside with them. Therefore, youth are not empowered to even participate in changing the way politics currently operates. Shaking the way municipal politics operate in Ottawa, bringing our generation forward by paving the road is what Jette is aiming for in this municipal election. Since the beginning of the campaign, their voice has resonated with many youths across the city. From inside and outside of their community, the Cumberland ward candidate has received constant youth support. Advocating for equality and inclusivity has always been important to Jette. By putting their name in the running, it became their mission to pave the path for marginalized people. Danielle Lanouette shares Jette’s interests and concerns. The two young adults have been friends since they participated in the Canadian Roots Exchange volunteer program four years ago. Lanouette strongly believes Jette has their place in municipal politics. “I have never seen a politician addressing all the topics and concerns regarding accessibility, LGBTQ+ communities in the way Cameron has been,” says Lanouette. When Jette announced to their mom they were going to run for councillor of their ward, Jacquie was surprised their child was willing to take that next step. If the 20-year-old has been advocating for their beliefs and opinions in the past, the willingness to expose themselves on the municipal scene was unexpected. According to Jacquie, the age factor and the lack of experience discourages youth to put themselves out there, but it’s important to understand that it’s by exposing themselves to their community that they will get the experience. One thing that motivated Jette to run for council was to represent the new generation of voters who often don’t have confidence in older candidates. 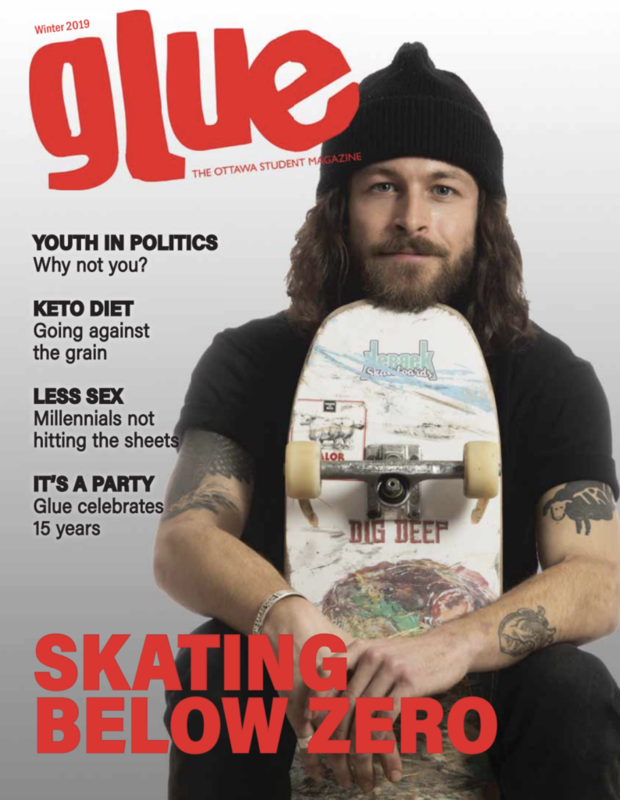 They knew there was a need in the City of Ottawa, for youth to be able to resonate with a younger voice in the race, a community leader who is experiencing the same struggles as they are. “I’ve heard from youth that they feel inspired and hopefully in the next election they will be in my spot, or they will take on more of a leadership, or even in their life they will be more involved in different things they thought they couldn’t do in the past because they are a young person,” says Jette. The election results landed Jette in second place in Cumberland ward with 741 votes in their favour. For the Cumberland candidate, the experience of running in the municipal election was a win by itself. Their purpose was to inspire youth and pave the road for them to step up.